The co-writer of Doctor Who Series 9, Episode 5, The Girl Who Died has been chatting to the BBC about his episode, which stars Game of Thrones' Maisie Williams. Read what Jamie Mathieson (Mummy on the Orient Express, Flatline) had to say below. The Doctor meets The Vikings! Of course he does. The only question is, why did it take so long? Odin has come to visit his loyal followers, the Vikings, and reward their bravest warriors with a place in Valhalla. 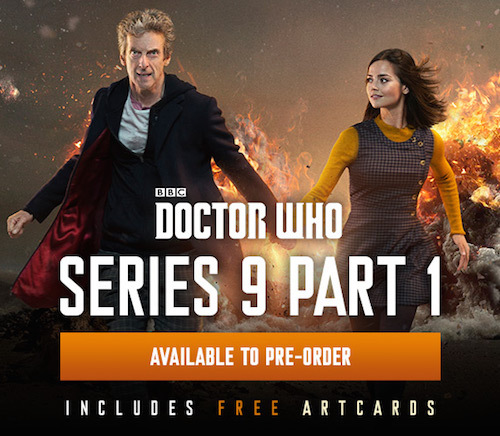 There’s only one problem - The Doctor and Clara, who are having none of this and smell a rat. They are soon caught up in the middle of a war between an advanced race of mercenary aliens and a village full of angry Vikings, who don’t take kindly to having their Gods insulted. There is another big mystery to solve in the form of Maisie Williams, who plays a Viking that the Doctor seems to recognise. But from where? Or is it when? At one point in development the episode was called The Allfather’s Army referencing both Dad’s army and Norse mythology. There are also nods to films like The Magnificent Seven and The Dirty Dozen.